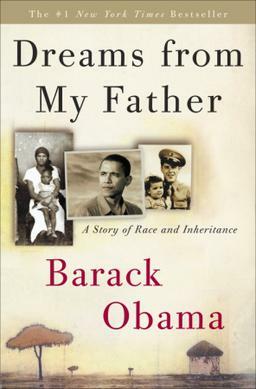 Dreams from My Father: A Story of Race and Inheritance is a memoir by Barack Obama, who was elected as U.S. President in 2008. It explores events of his early years up until his entry into law school in 1988. Obama published the memoir in July 1995, when he was starting his political campaign for Illinois Senate. He had been elected as the first African-American president of the Harvard Law Review in 1990. Dreams from My Father: A Story of Race and Inheritance (1995) is a memoir by Barack Obama, who was elected as U.S. President in 2008. It explores events of his early years up until his entry into law school in 1988. Obama published the memoir in July 1995, when he was starting his political campaign for Illinois Senate. He had been elected as the first African-American president of the Harvard Law Review in 1990. After Obama won the U.S. Senate Democratic primary victory in Illinois in 2004, the book was re-published that year. He gave the keynote address at the 2004 Democratic National Convention (DNC) and won the Illinois Senate seat in the fall. Obama launched his presidential campaign three years later. The 2004 edition includes a new preface by Obama and his DNC keynote address. September 1995 - Book reading at Cambridge Public Library. Barack Obama on Connie Martinson Talks Books. Follow me at Twitter.com/Akaczynski for more political videos. Book TV: Sen. Barack Obama "Dreams from My Father"
Barack Obama discusses his memoir, "Dreams from My Father." To view the entire program visit booktv.org.